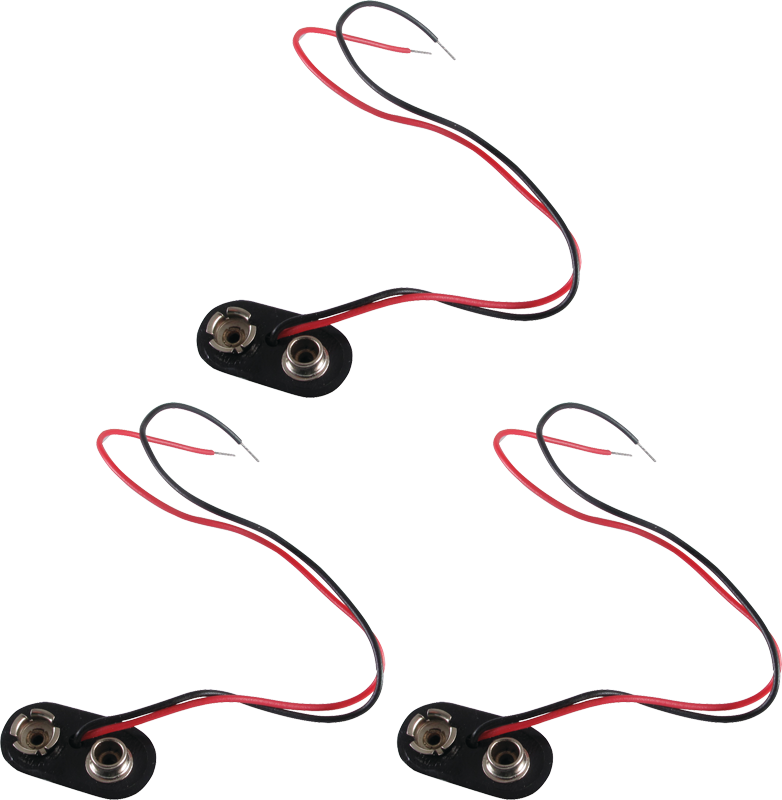 9 volt battery clip with 5 ¾" red and black wire lengths. 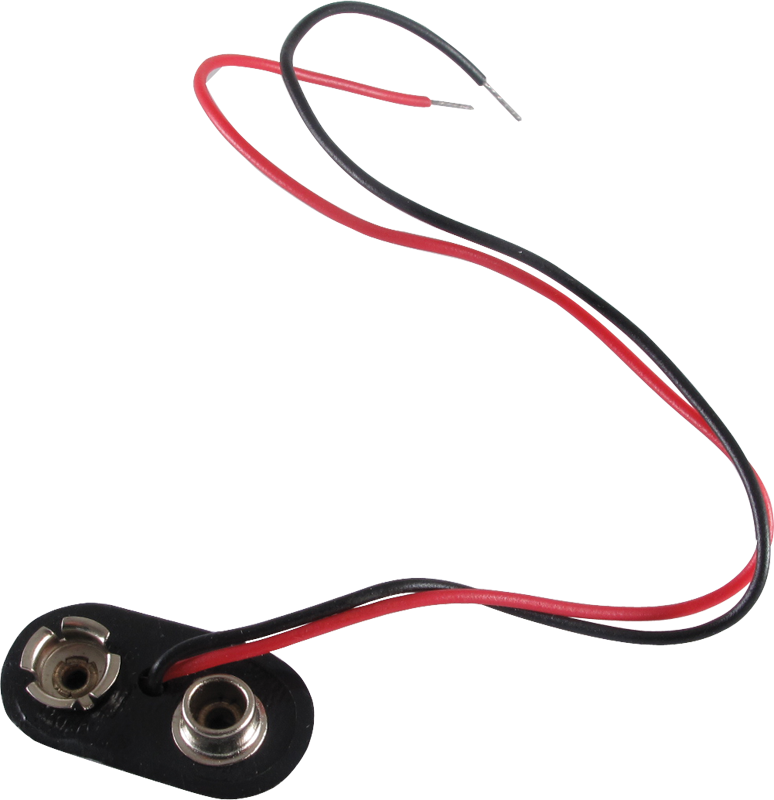 Simple construction and perfect for use in effects pedals. Package of three. Packaging Dimensions 3 in. x 3 in. x 0.4 in.